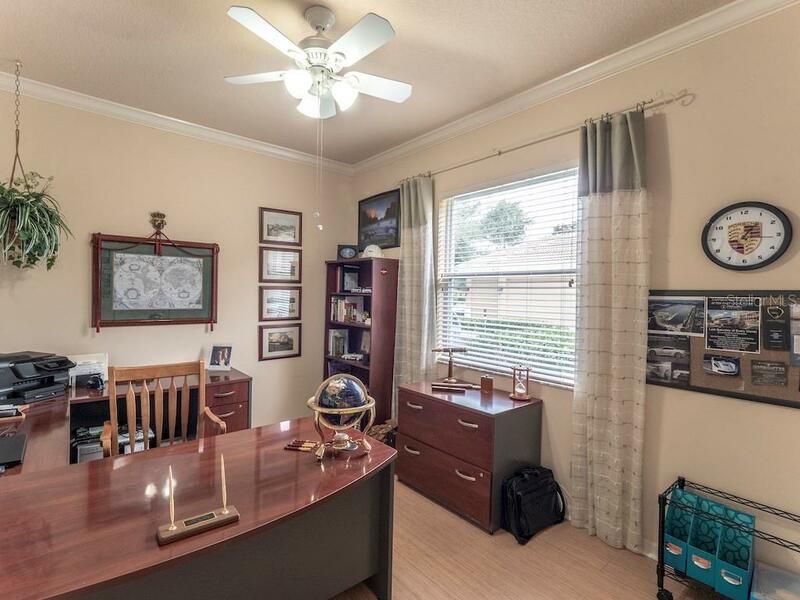 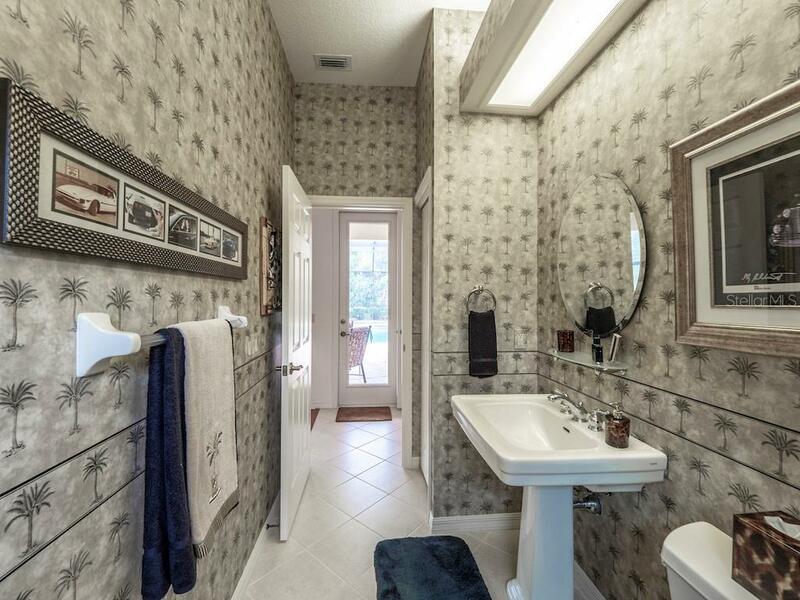 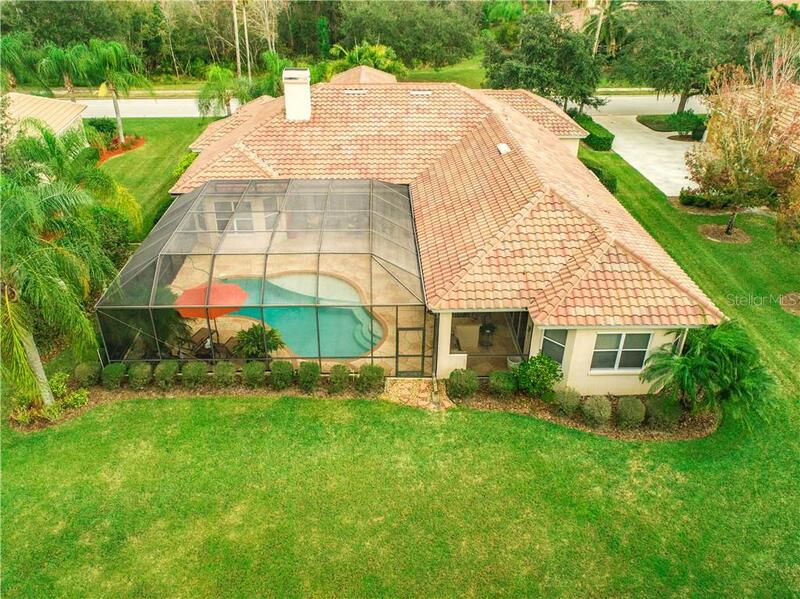 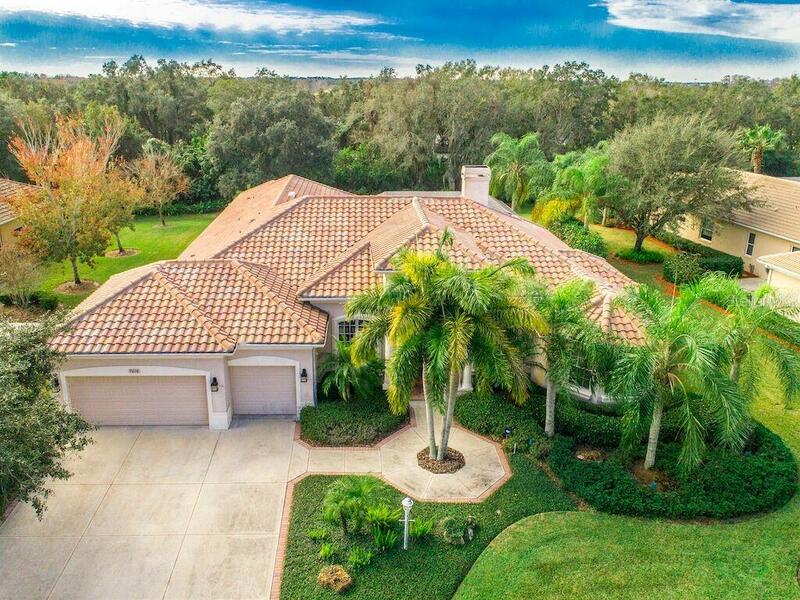 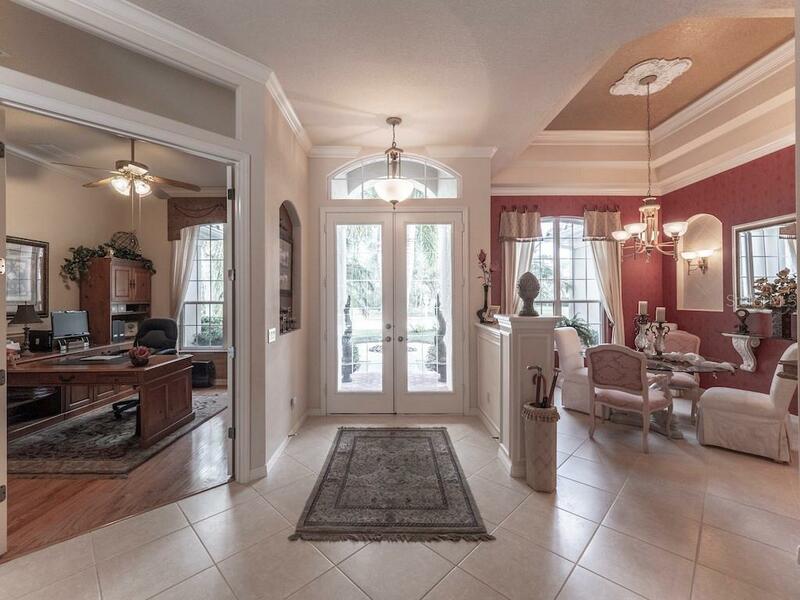 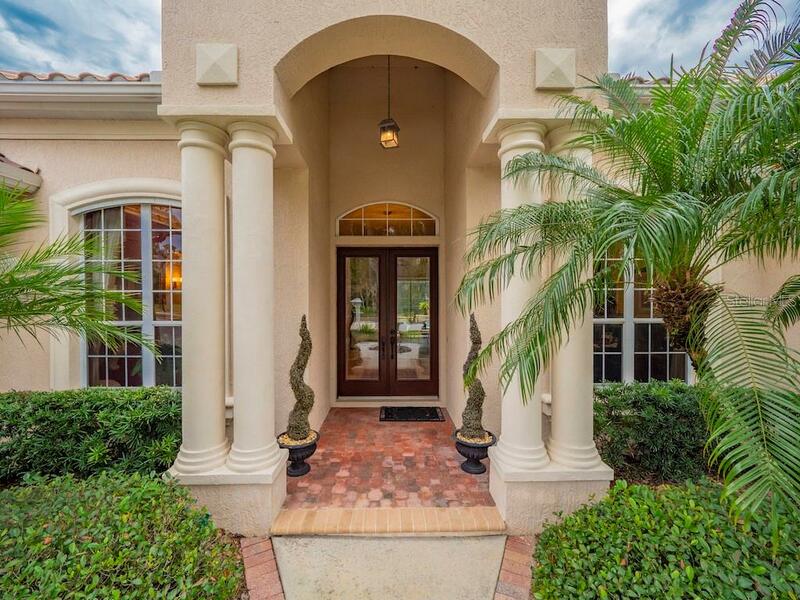 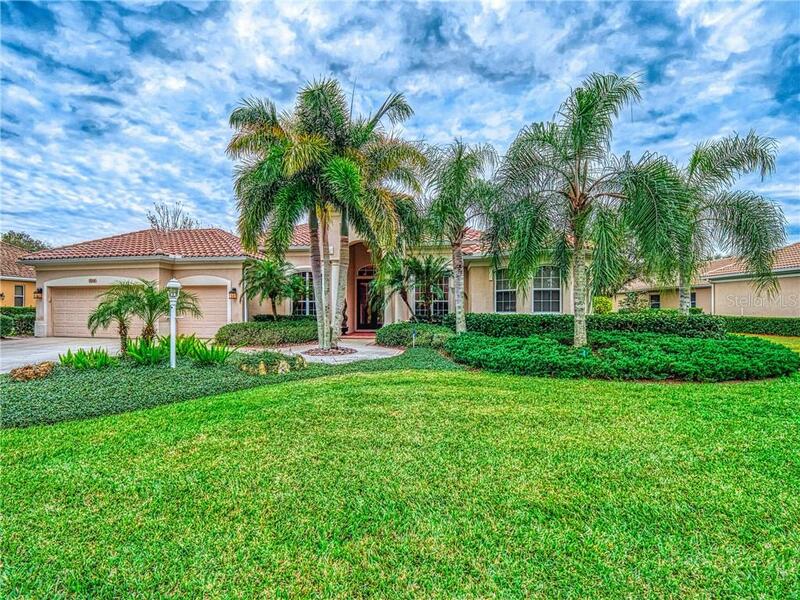 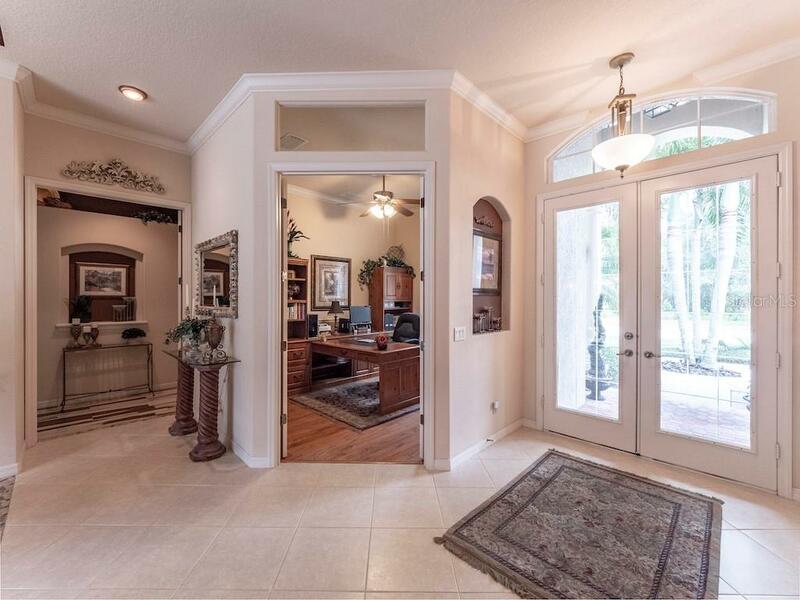 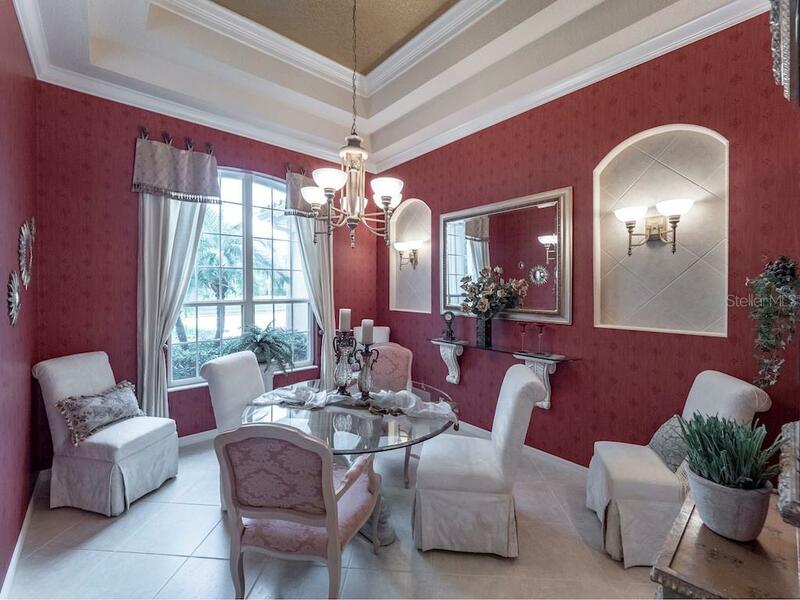 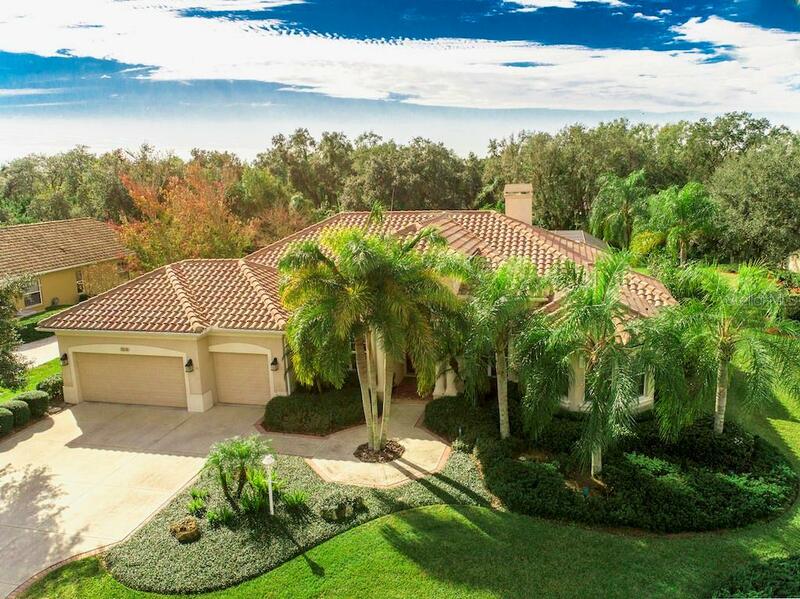 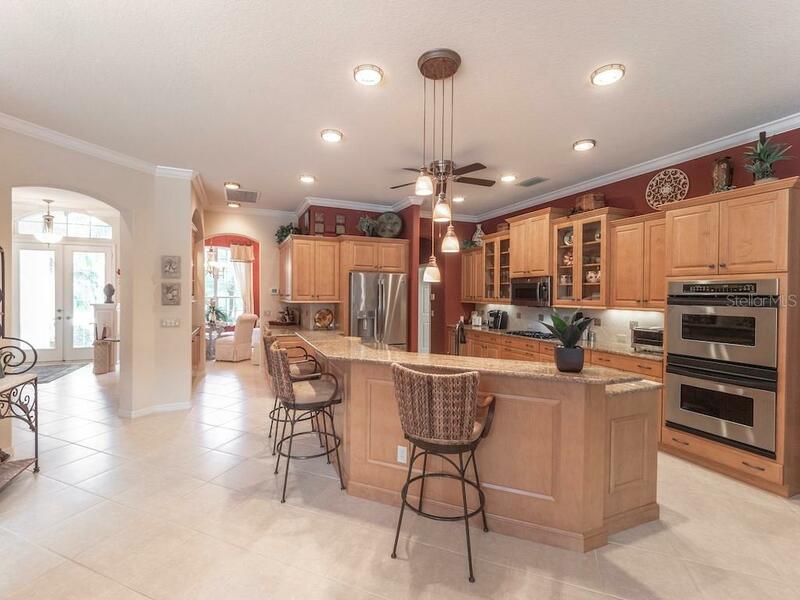 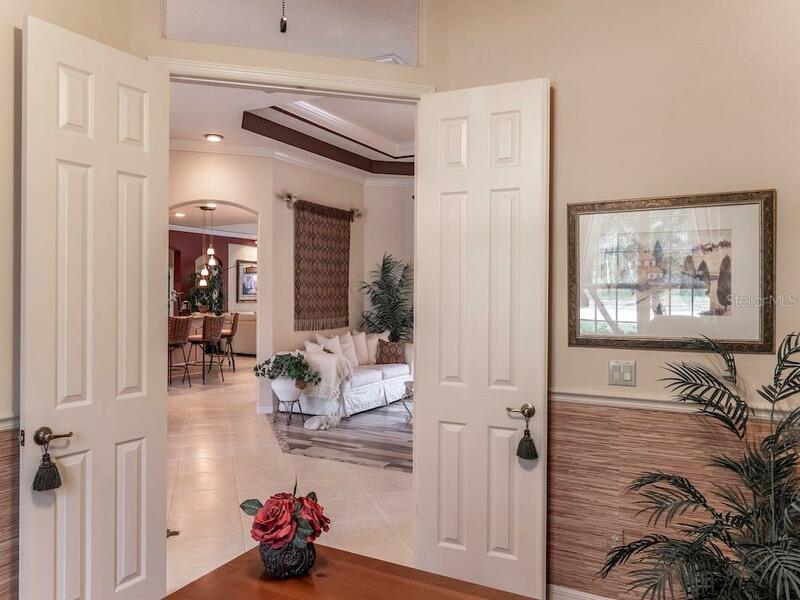 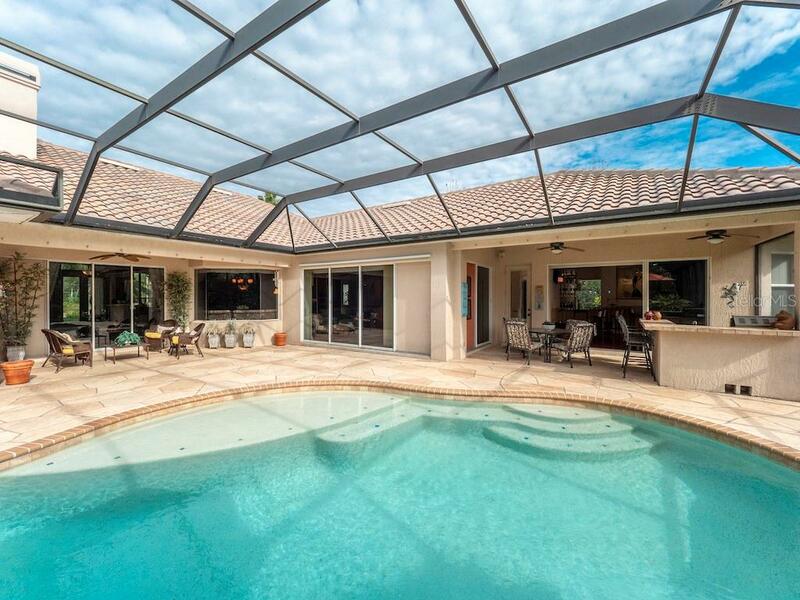 Beautifully maintained Original owner custom built home in Canterbury of Lakewood Ranch Country Club. 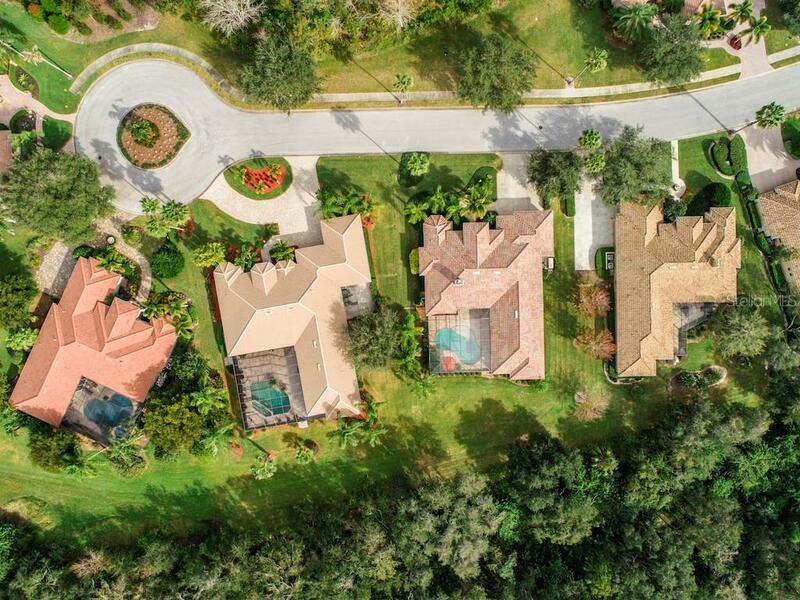 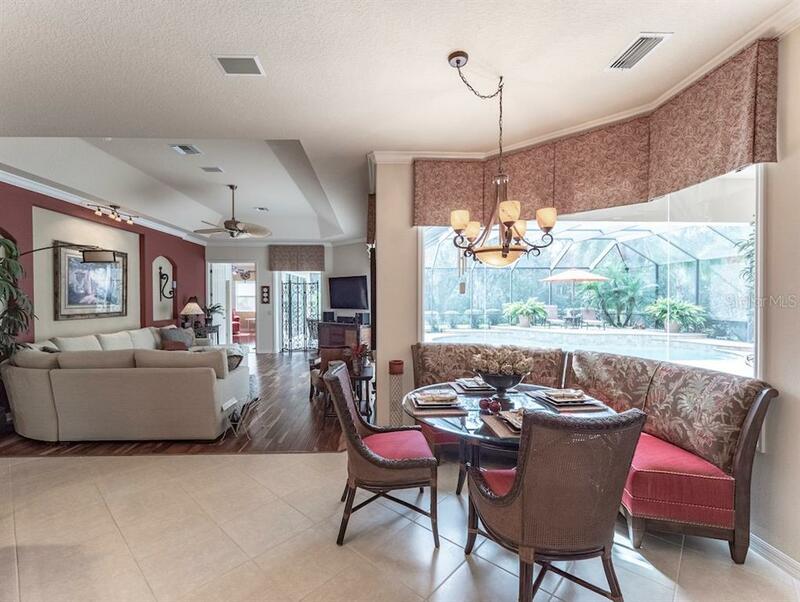 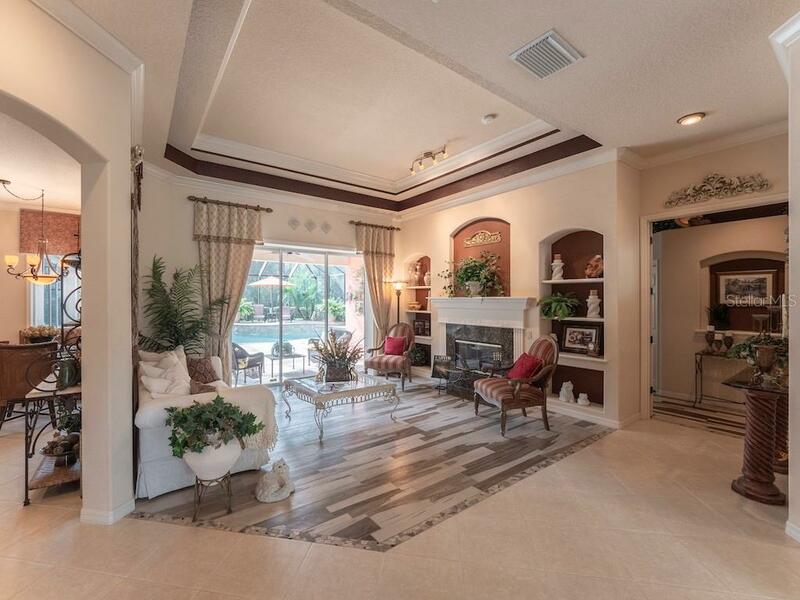 3400 Square feet of well laid out Living, Dining, & Entertaining space! 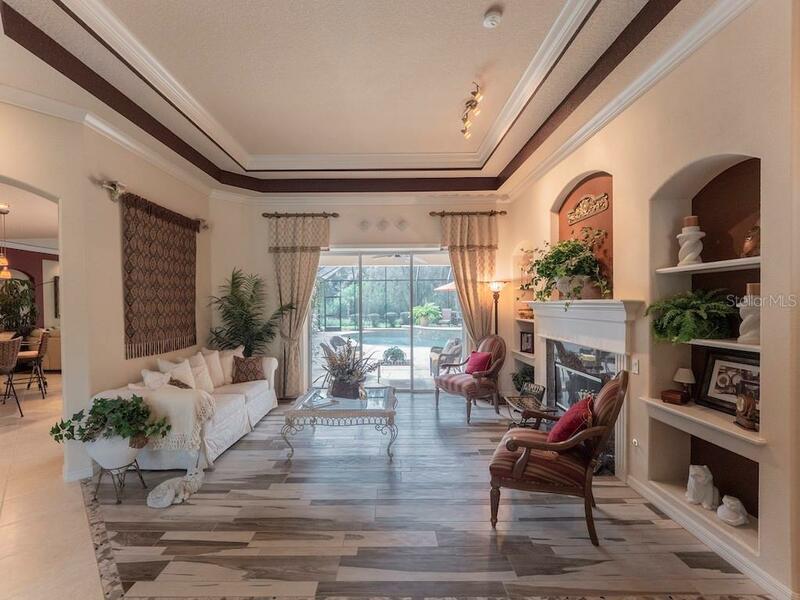 All floors are wood, tile or Porcelain plank tile. 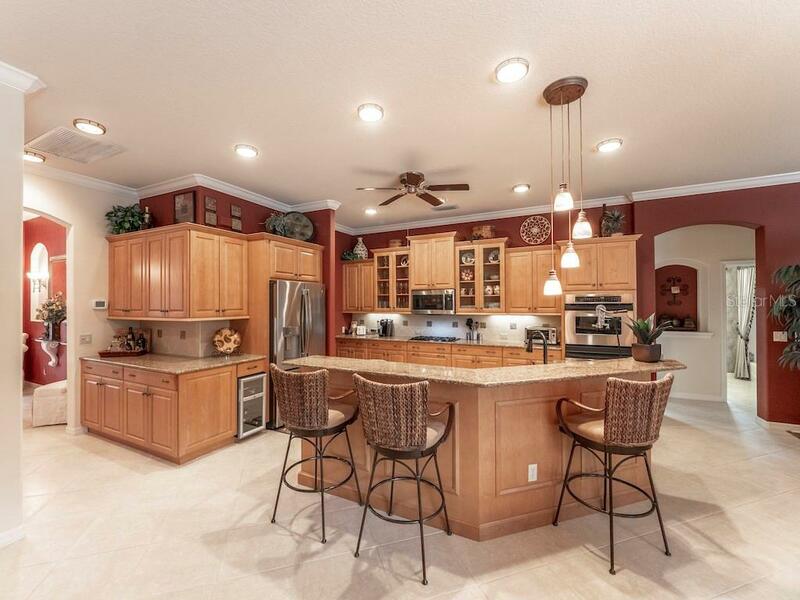 Formal Living, Dining & Family Rooms plus Spacious Kitchen with open Butlers area for ease of entertaining. 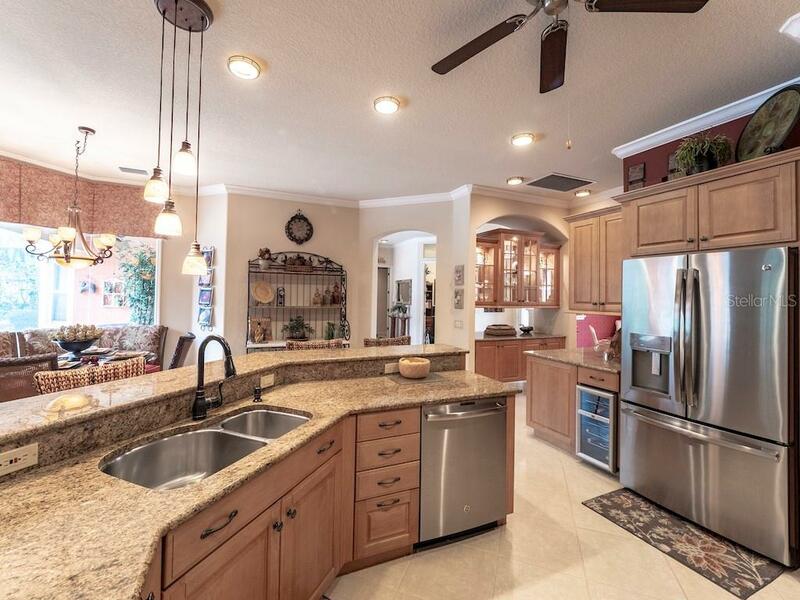 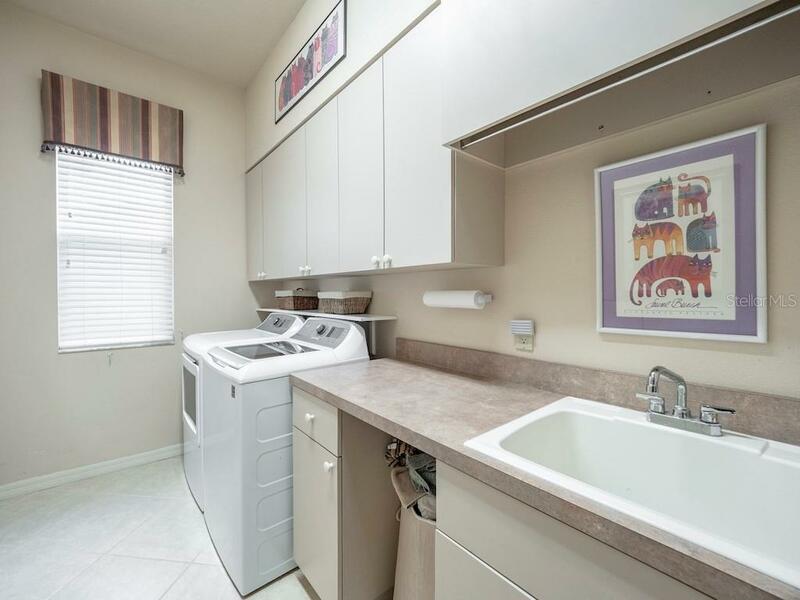 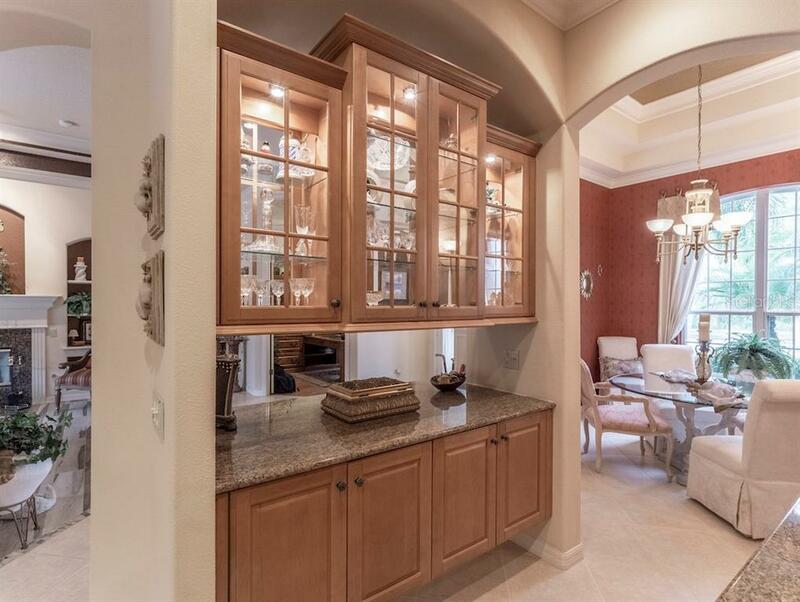 Crown molding throughout, custom paint, Tiered ceilings.Upgraded SS Appliances, Granite counters, Double ovens. 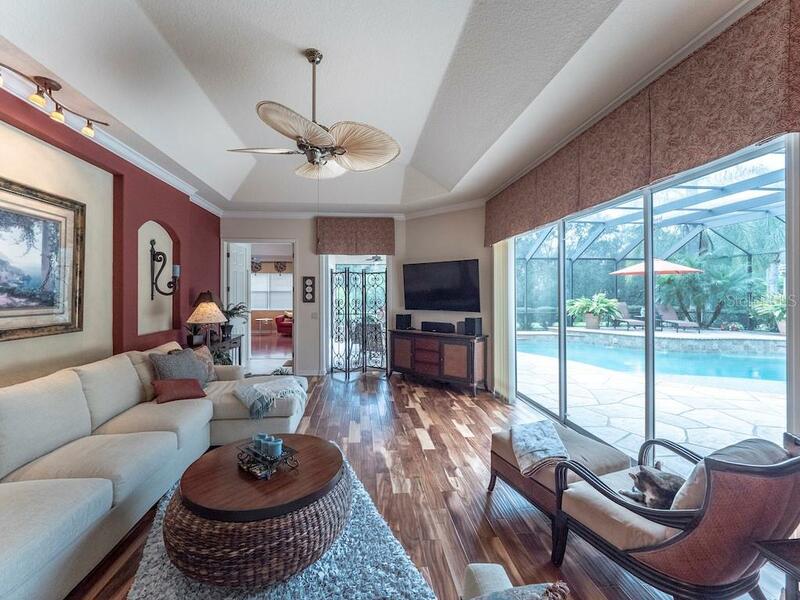 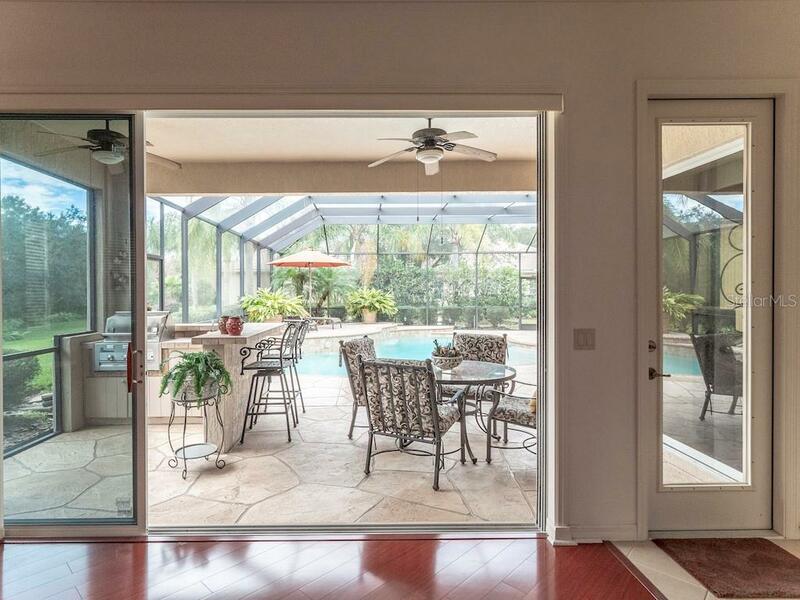 Aquarium window, lots of Sliders open to lavish Pool & Lanai with Preserve views! 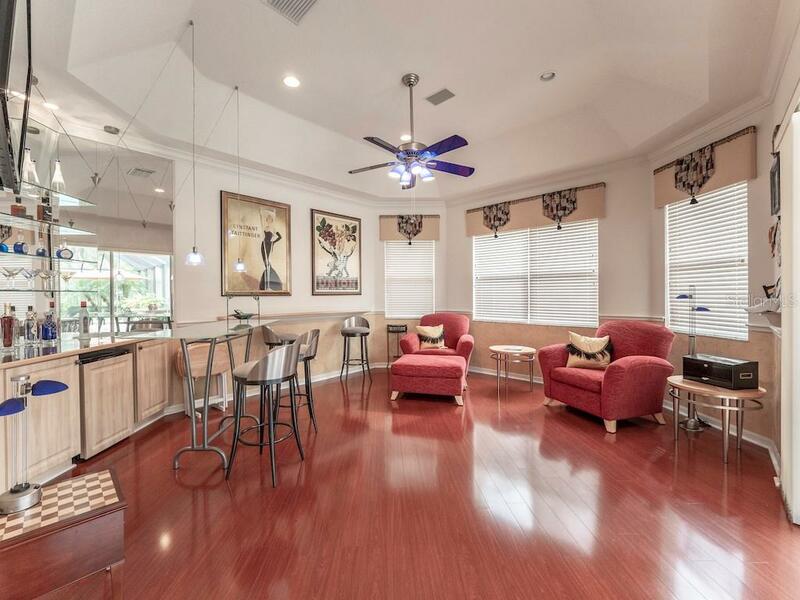 Pool & Deck have custom Finishes. 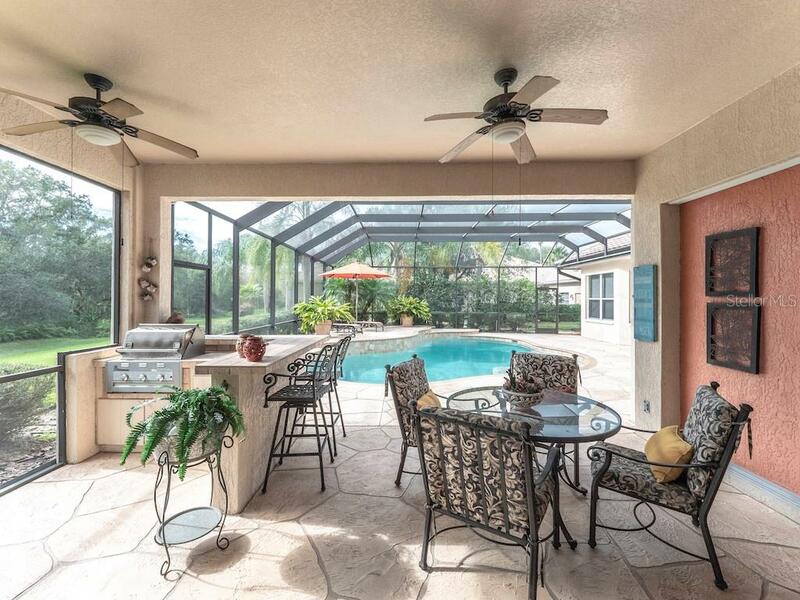 2 Covered Veranda areas with Outdoor Kitchen, grill, sink & bar! 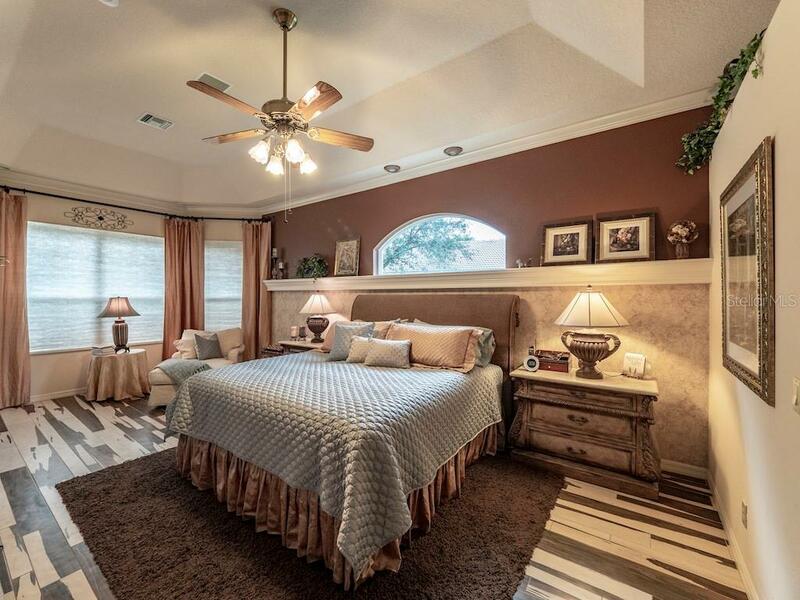 3 Bedrooms, 3 Baths, Den/Office & Large Bonus room with Bar & Pool bath. 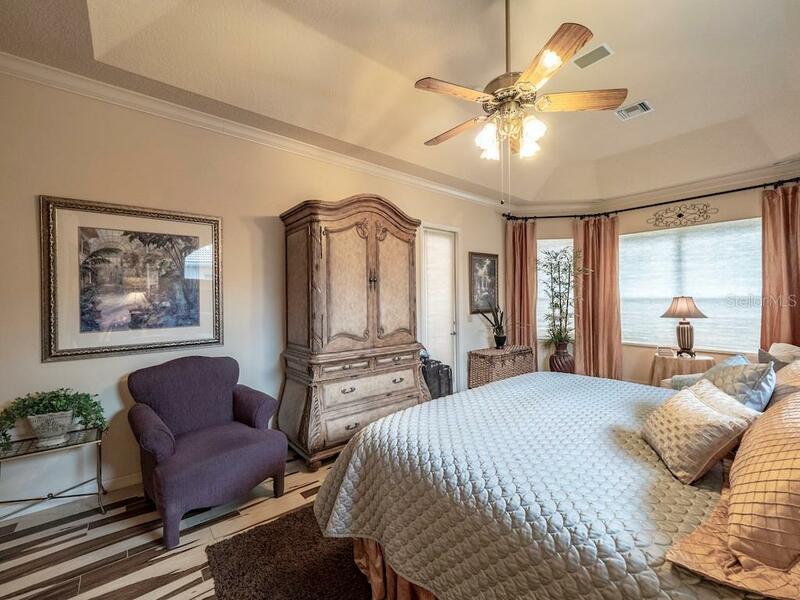 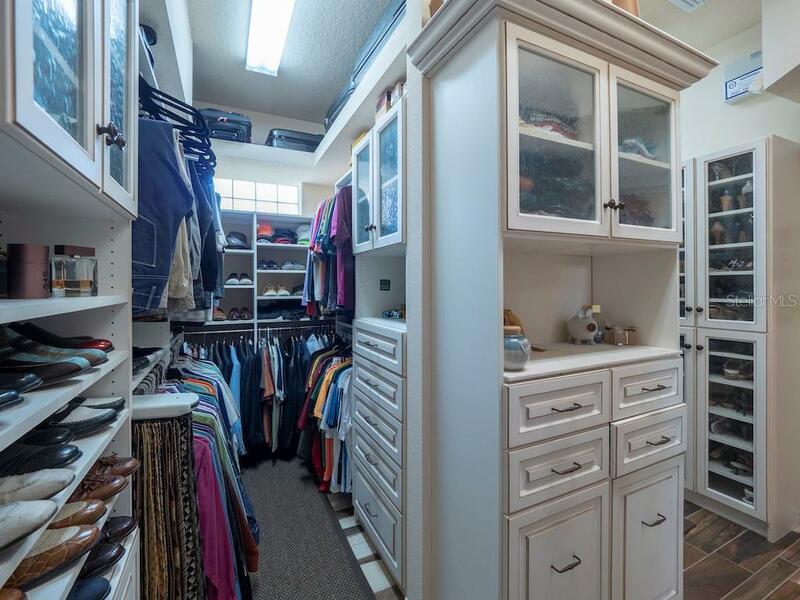 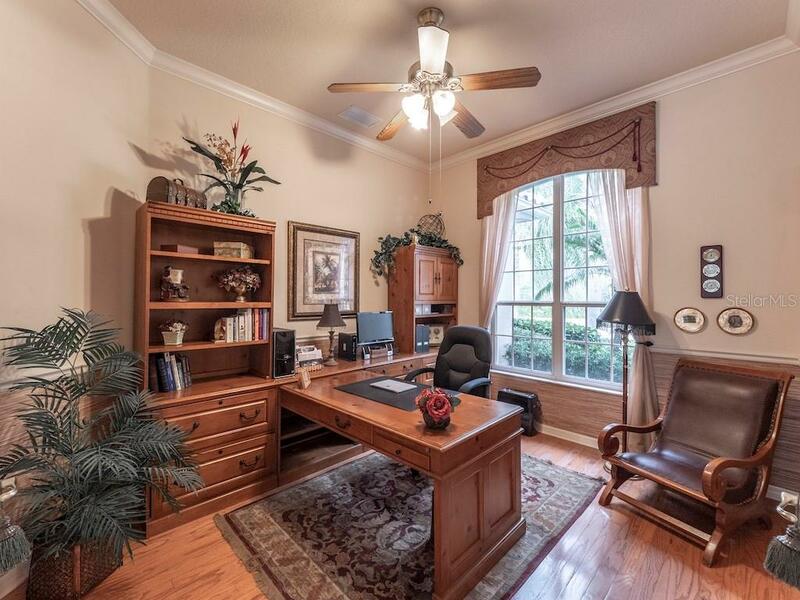 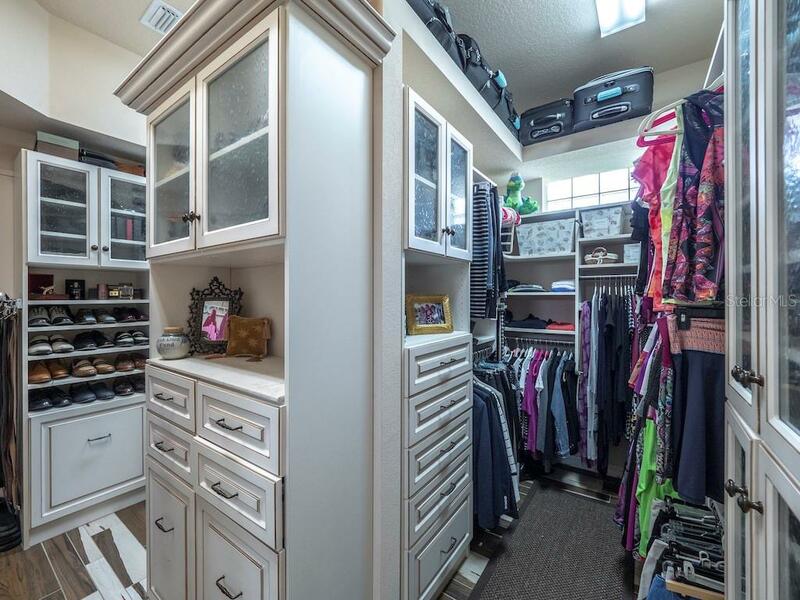 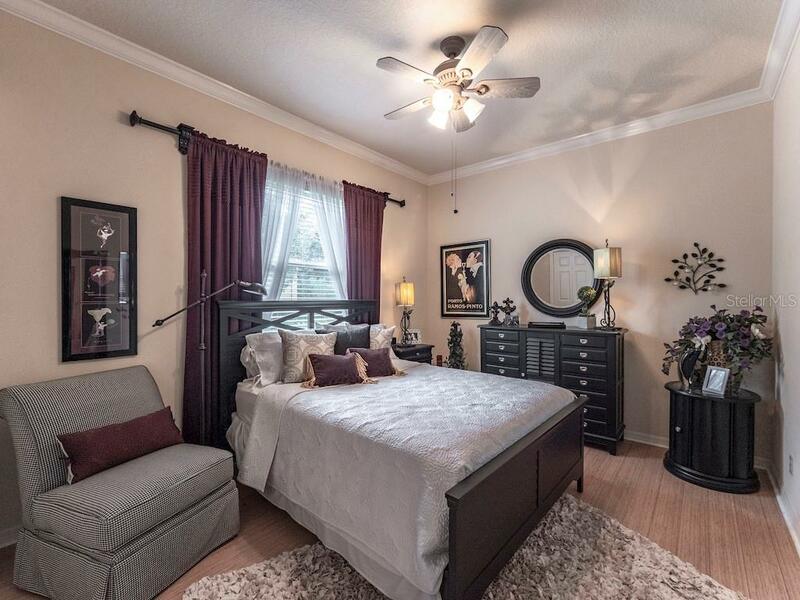 Master Suite has sitting area, Large Walk in Closet with Custom built-ins. 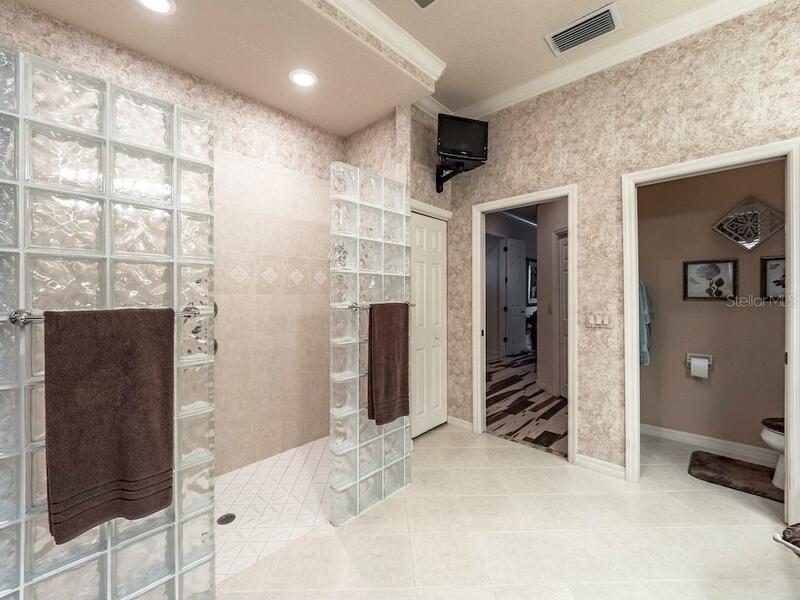 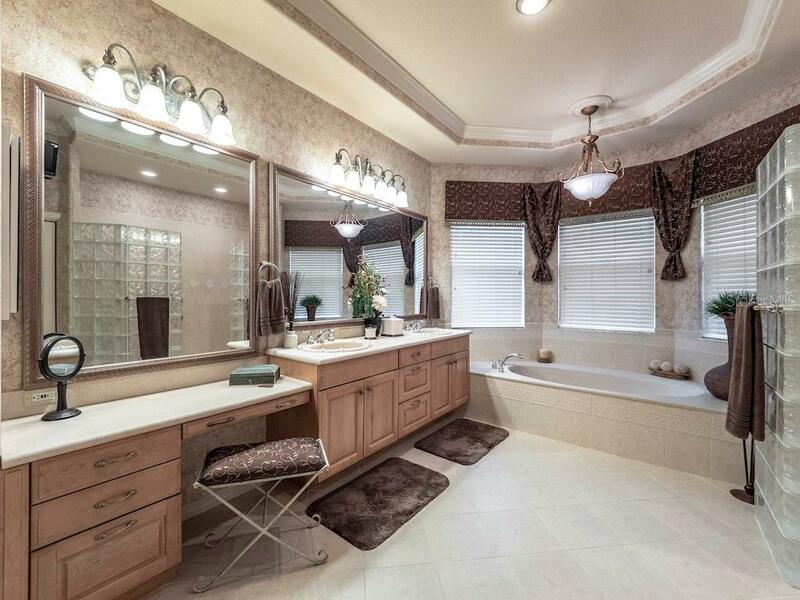 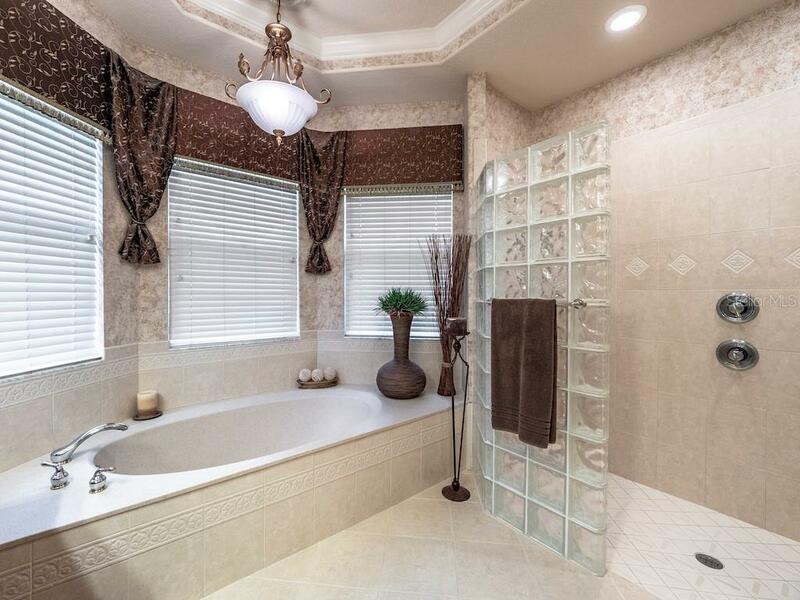 Master Bath with Dual sinks, Custom Walk-in Dual showers! 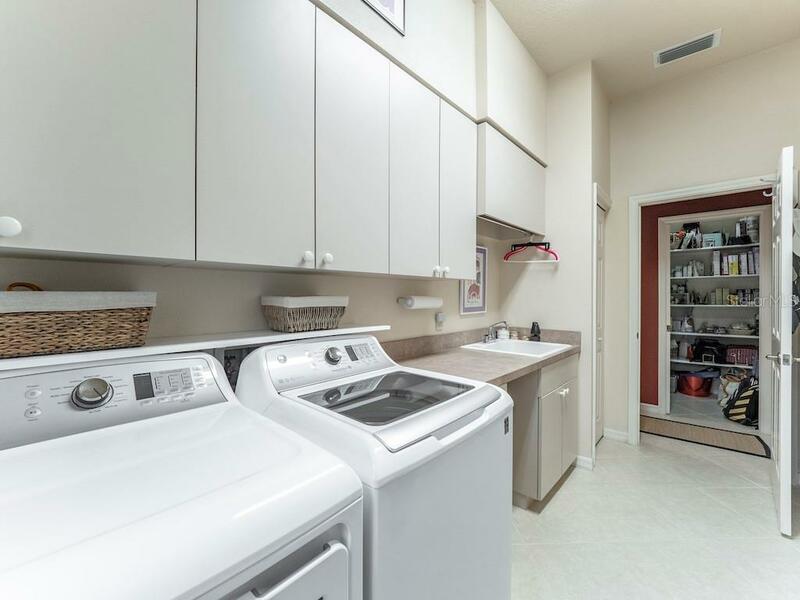 Recently installed Dual Trane AC units. 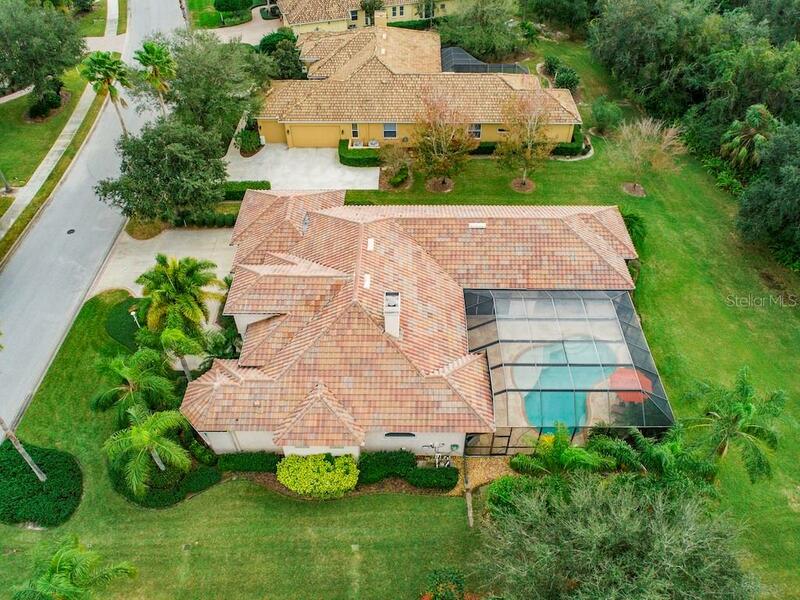 Whole house Gas generator & Hurricane protection. 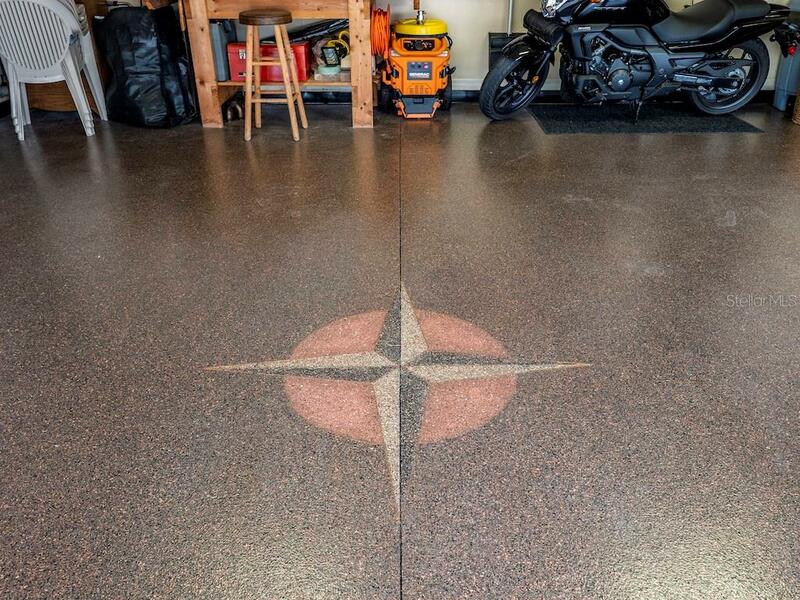 3 Car Garage, Epoxy Floor, Electric Vehicle Charging system. 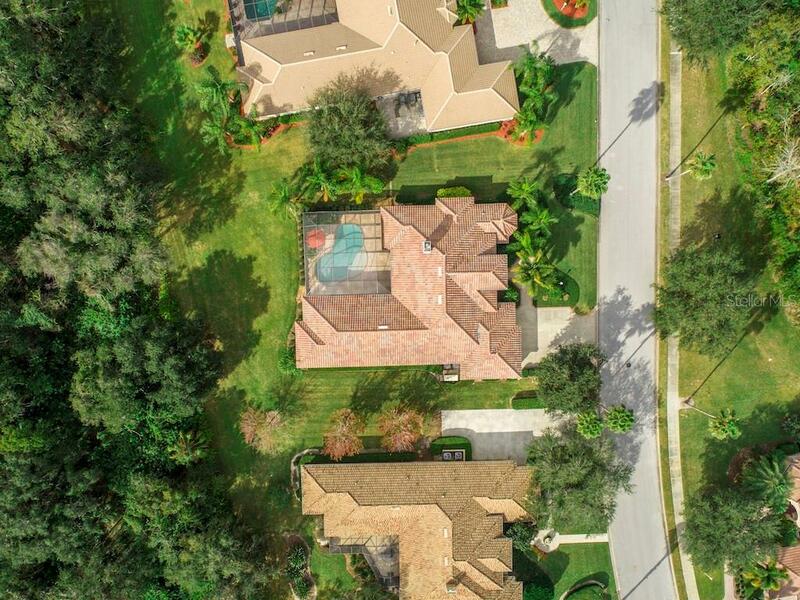 Situated near end of Cul-de-sac & Preserve in rear as well as front of home. 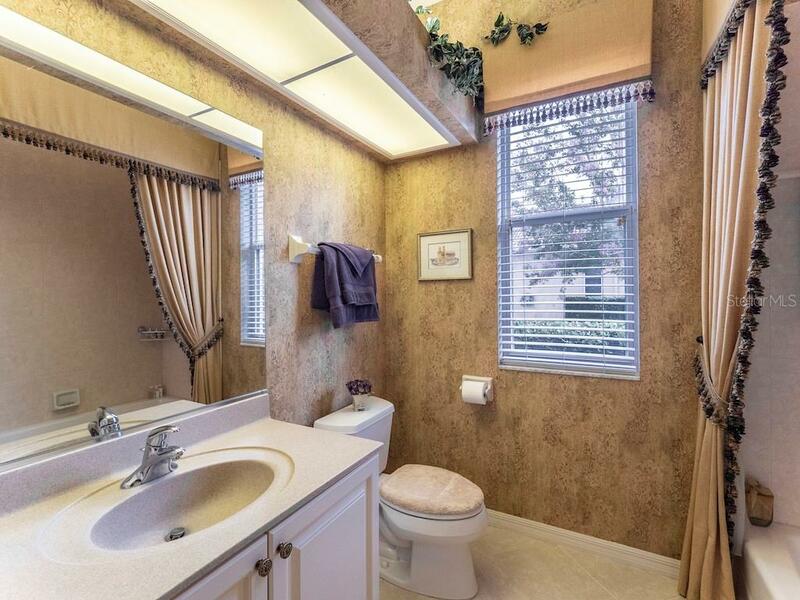 So many upgrades!